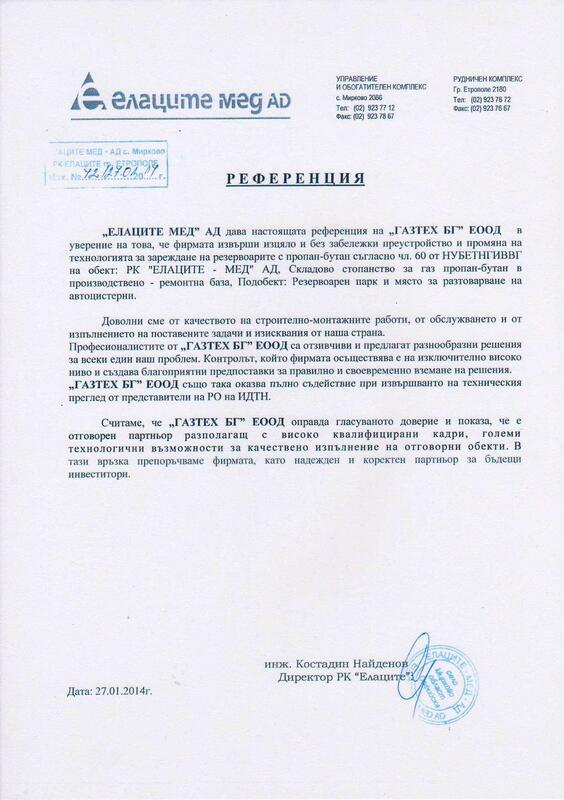 “ELATSITE MED”AD makes this reference to “GASTEH BG” Ltd. in assurance that the company performed entirely, without any remarks, a reconstruction and alteration of the charging technology of tanks with LPG according to Art. 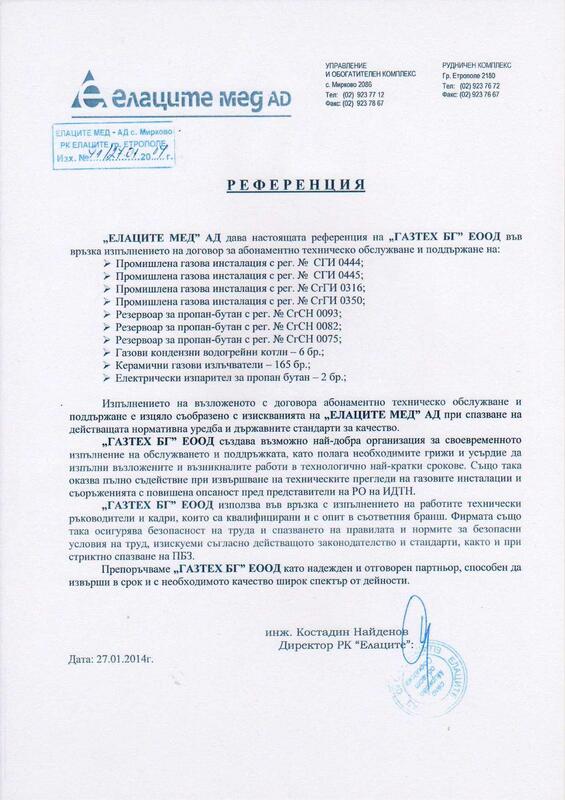 60 – Ordinance for Device Safe Operation and Technical Supervision of Gas Equipment and Installations for Liquefied Hydrocarbon Gases (ODSOTSGEILHG) at site: mining complex” ELATSITE – MED” AD, warehouse for LPG in a production – repair station, Part : tank section and a place for road tankers . We are pleased with the quality of construction work, the service and the implementation of the tasks and requirements, set from our side. We kindly inform all current and future customers of our company, that we have the equipment for trenchless pipelines.